The Italianborn Columbus was already an experienced mariner when he managed to persuade King Ferdinand II and Queen Isabella I of Spain to fund his first voyage in 1492. His plan was to sail west to reach spice- and gold-rich Asia; instead, in one of the most famous mistakes in history, he encountered North America. Although the Viking Leif Eriksson had discovered the continent some 500 years earlier, Columbus’ four voyages were the first to excite among Europeans a desire to explore, settle, and exploit the New World. 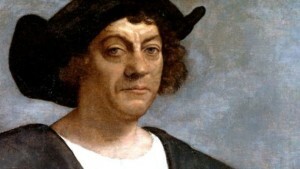 For this reason, Columbus is traditionally credited with the “discovery” of America.